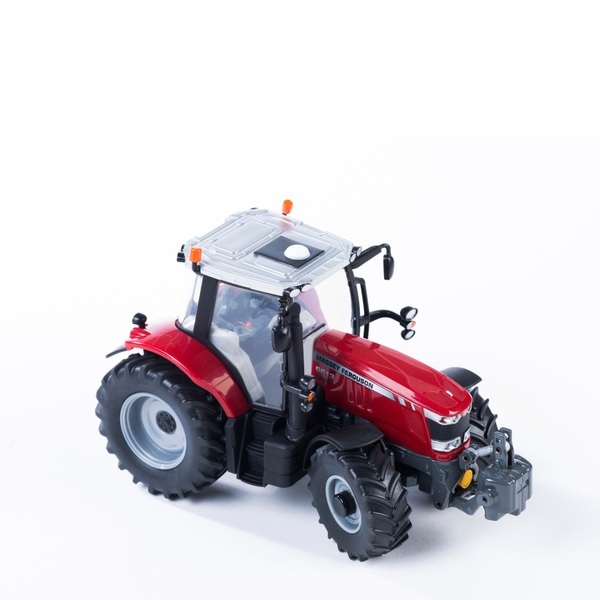 This Massey Ferguson 6613 tractor is a 1:32 authentic die cast replica. It features the all new Massey Ferguson styling with front wheel steering. There is a rear hitch that is compatible with most Britains 1:32 and other 1:32 scale authentic replica plastic farm pieces.